KARMA is a dance performance group with a goal to provide flourishing young dancers with a positive outlet for expression. Life lessons of commitment, responsibility, and work ethic will be taught through the art of dance. By providing extraordinary and unique training and performance opportunities, KARMA encourages and supports gifted dancers to achieve their full potential. KARMA provides a rigorous environment developed by KARMA’s Artistic Director, Stephanie Mitro and R.S.I. Danceworks staff. 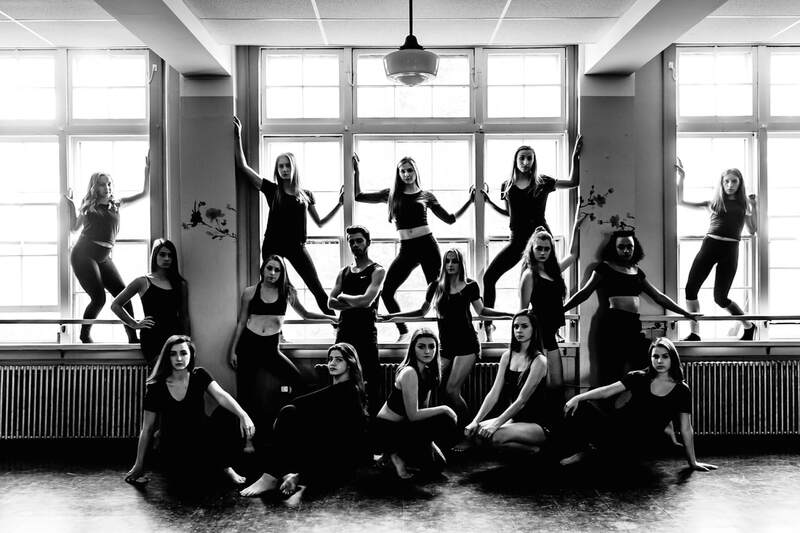 Through opportunities with guest choreographers, the group also draws on experienced talent and skills of some of Nova Scotia’s top dance professionals. KARMA maintains a commitment to the presentation of dance works in a variety of styles, educational programs and school and public performances of superior calibre with broad audience appeal. KARMA seeks to educate talented young dancers ages 11-18. Company members train in the disciplines of ballet, tap, african, jazz, lyrical, modern, musical theater, hip hop, cabaret, and contemporary. Jocelyne will motivate and inspire company members to reach their fullest potential. "A person needs new experiences to grow, without them something sleeps inside us, and never awakens." Please contact (902) 883-0264 or info@rsidanceworks.ca to book a show or performance.